High altitude jet with contrail in clear sky. A vapour trail in the dawn sky over Guildford. Left by an early morning flight on its way to Melbourne Airport (Tullamarine) 82 km to the south east. Taken this morning (15 October, 2017) at Guildford, Victoria, Australia. 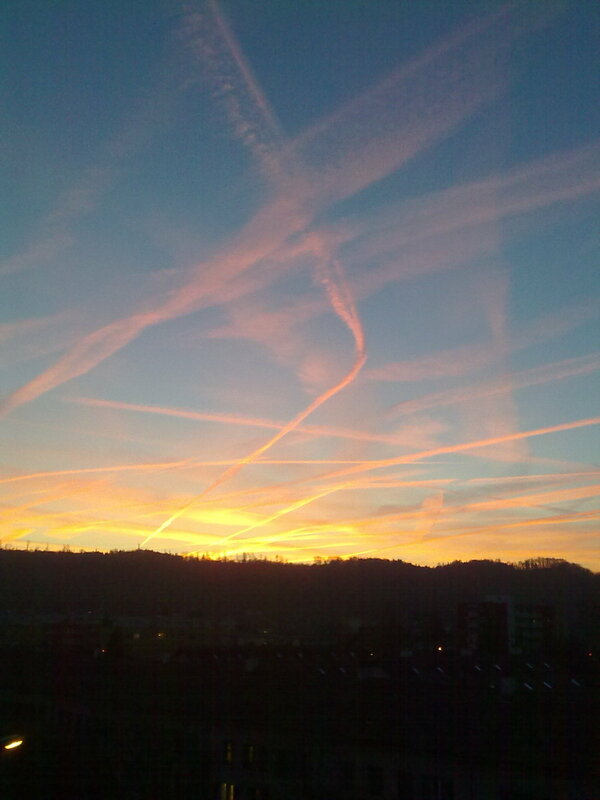 Taken 25 March 2011, this sunset was taken after a High pressure system sat on Switzerland and left so much still air that the contrails for an entire day could be seen.